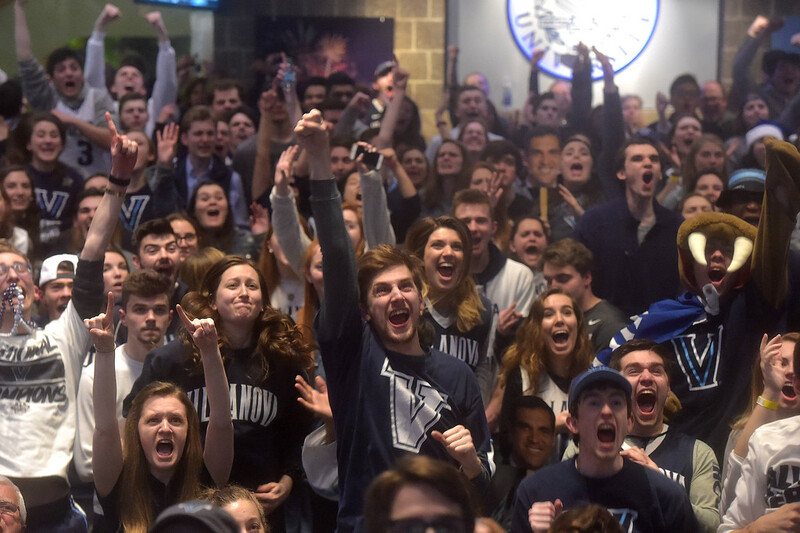 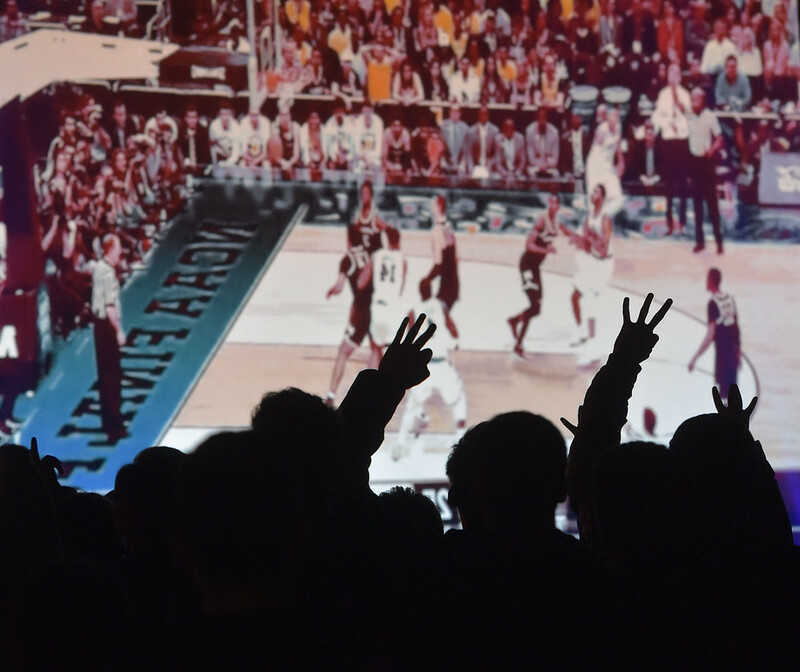 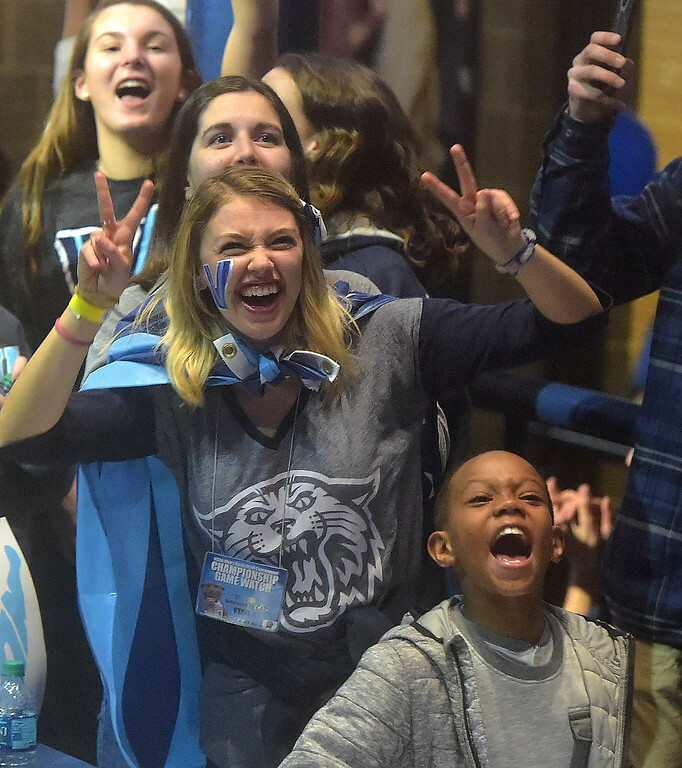 PETE BANNAN-DIGITAL FIRST MEDIA Villanova students cheer their Wildcats on at the Connelly Center in the first half of the National Championship game. 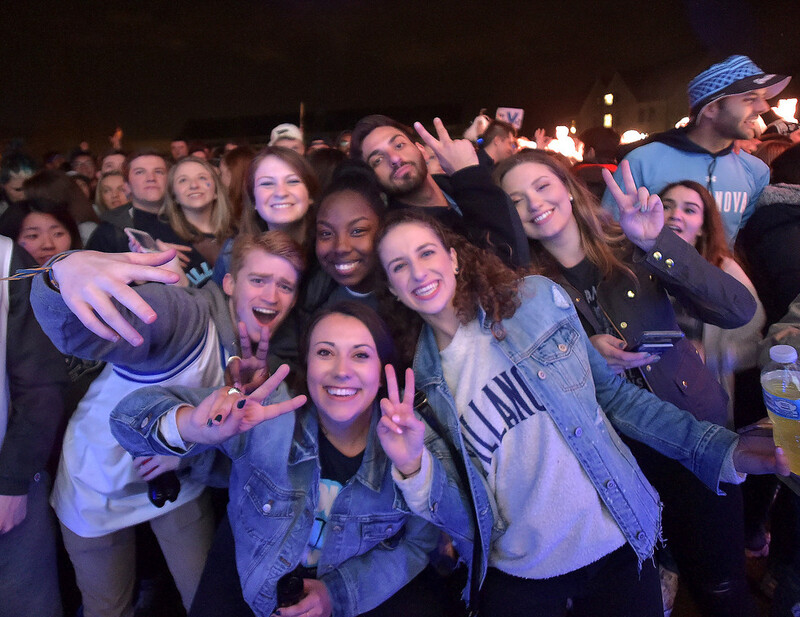 PETE BANNAN-DIGITAL FIRST MEDIA Villanova students watch the National Championship game on the the campus Quad outside the Connelley Center. 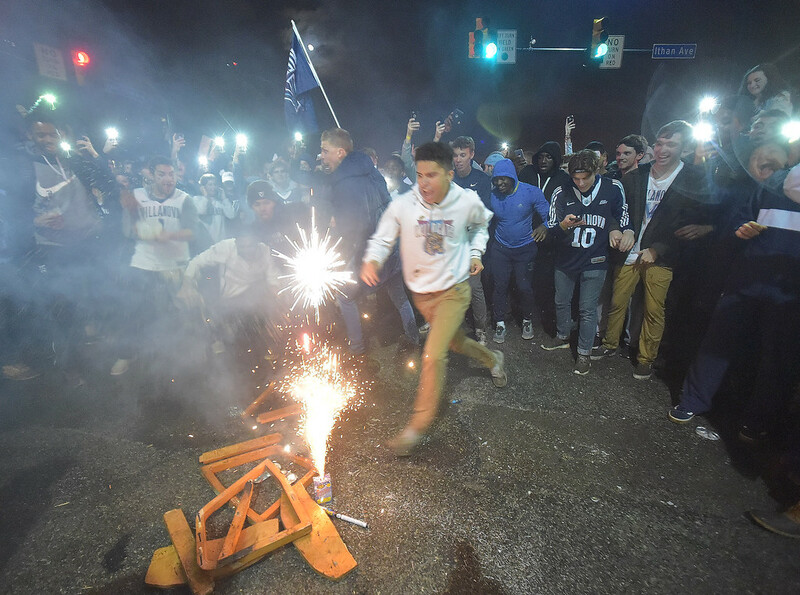 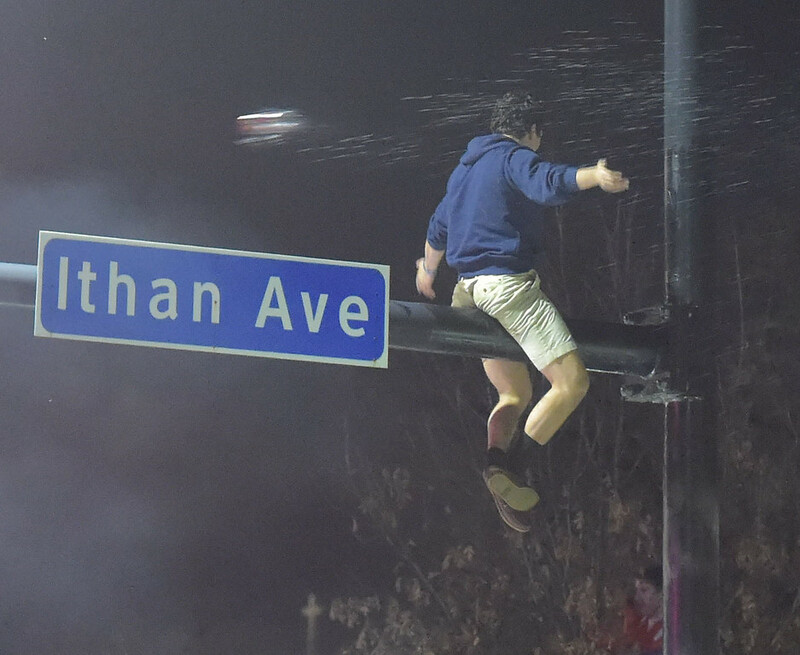 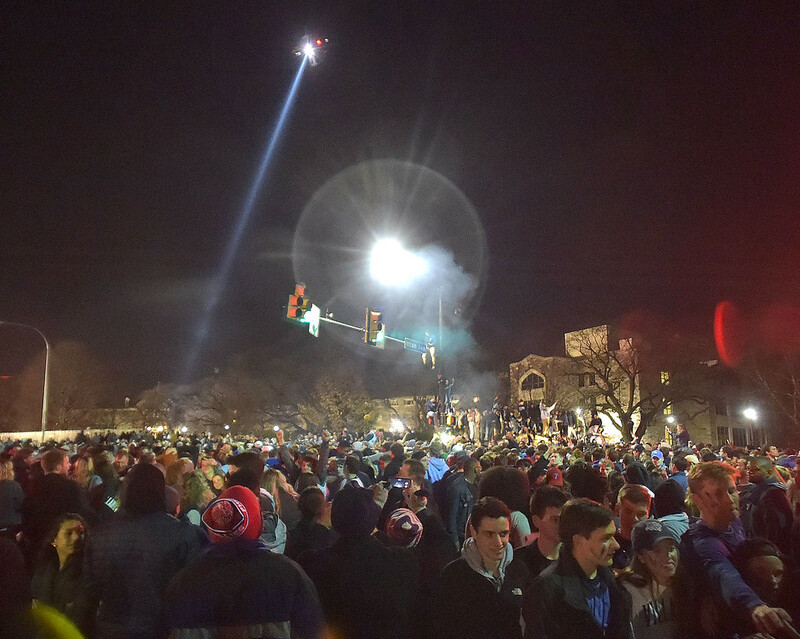 Officials worked to keep celebrations off Lancaster Avenue. 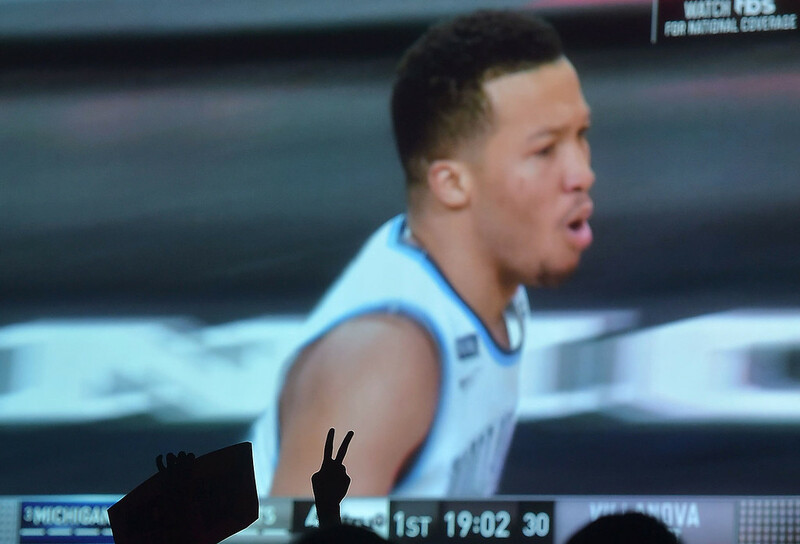 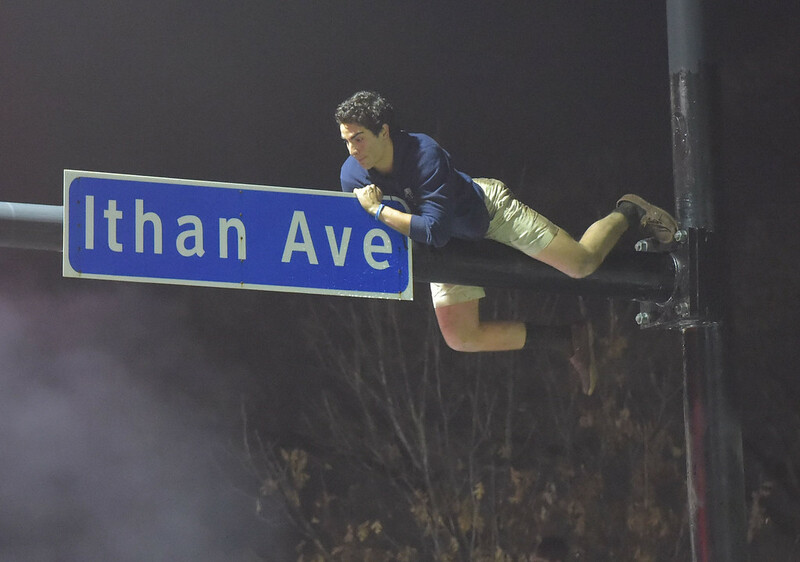 PETE BANNAN-DIGITAL FIRST MEDIA A Villanova student at the Connelly Center holds up a V as the WIldcats play in the National Championship game. 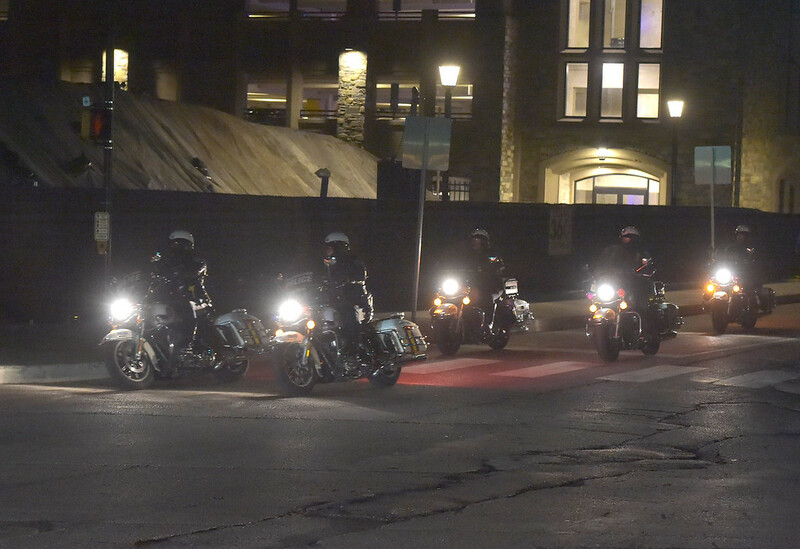 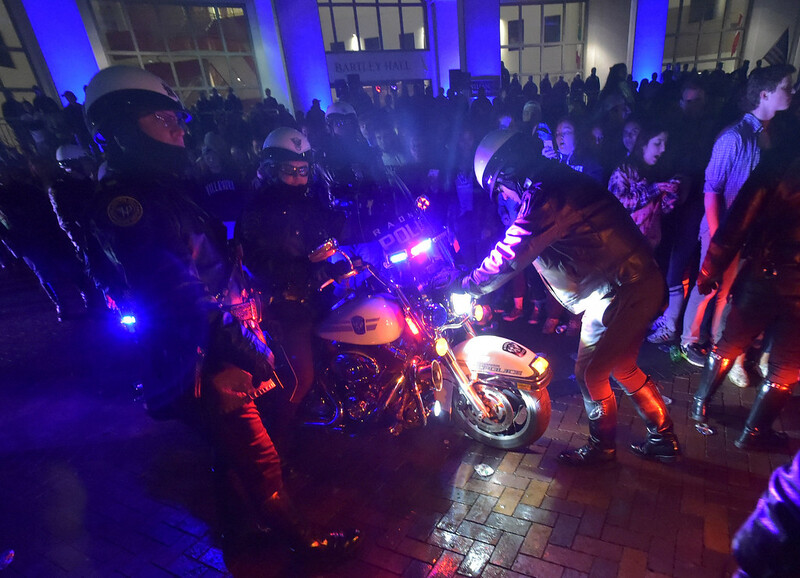 PETE BANNAN-DIGITAL FIRST MEDIA Area motorcycle police patrol the Villanova area as the WIldcats play in the National Championship game. 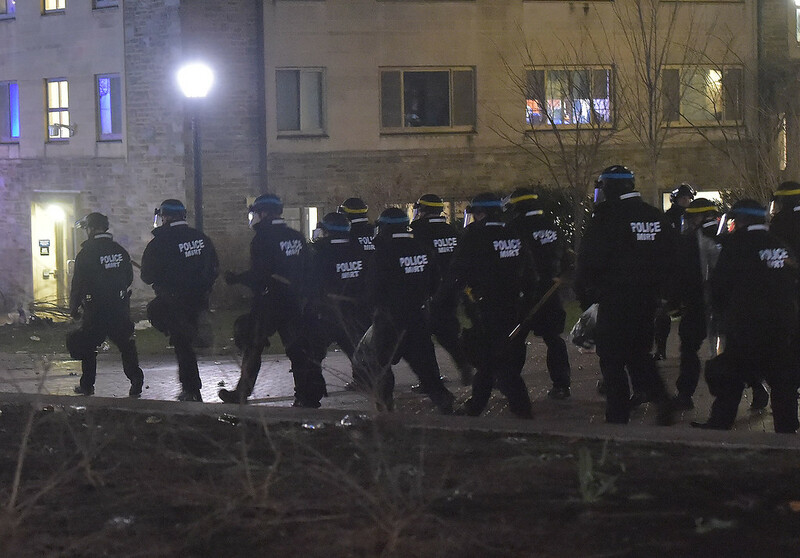 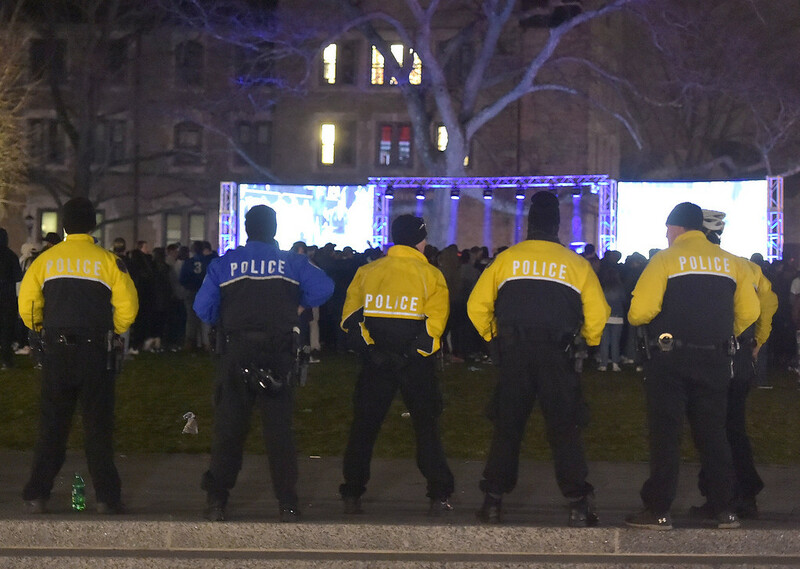 PETE BANNAN-DIGITAL FIRST MEDIA Police officers standby on the Villanova Quad as students watch the WIldcats play in the National Championship game. 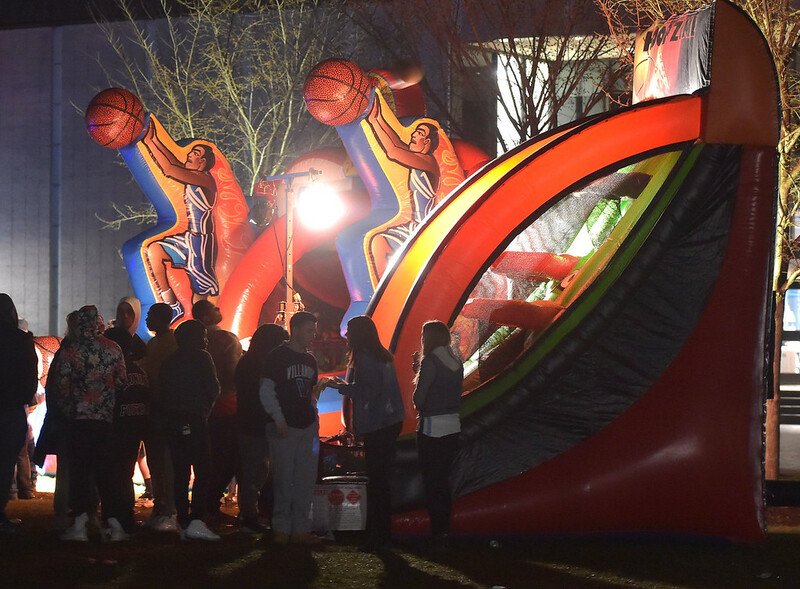 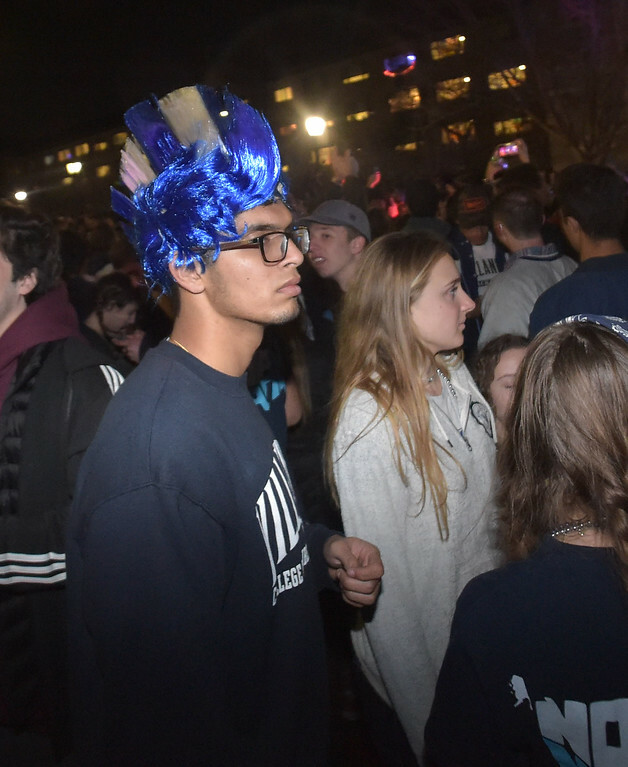 PETE BANNAN-DIGITAL FIRST MEDIA Villanova students enjoyed a carnival atmosphere on the Quad including basketball contests as the Wildcats played in the National Championship game. 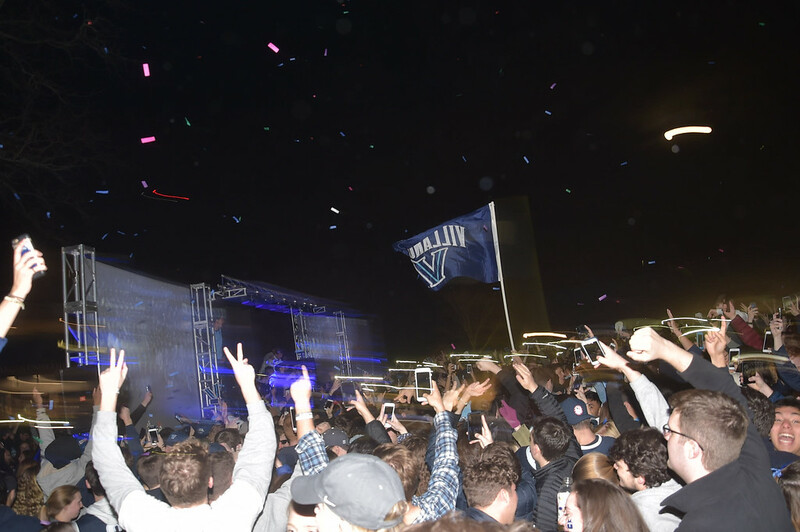 PETE BANNAN-DIGITAL FIRST MEDIA Hitting the three-pointer in the second quarter as seen from the Quad as the WIldcats played in the National Championship game. 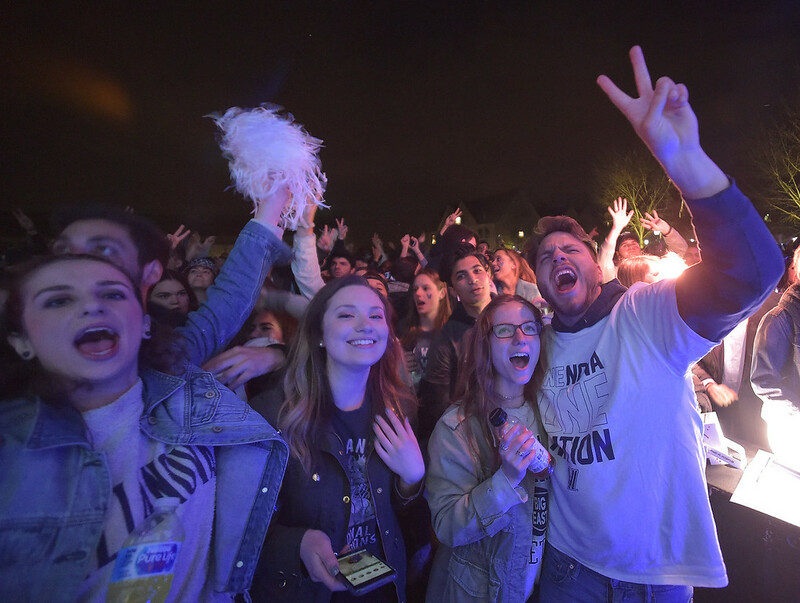 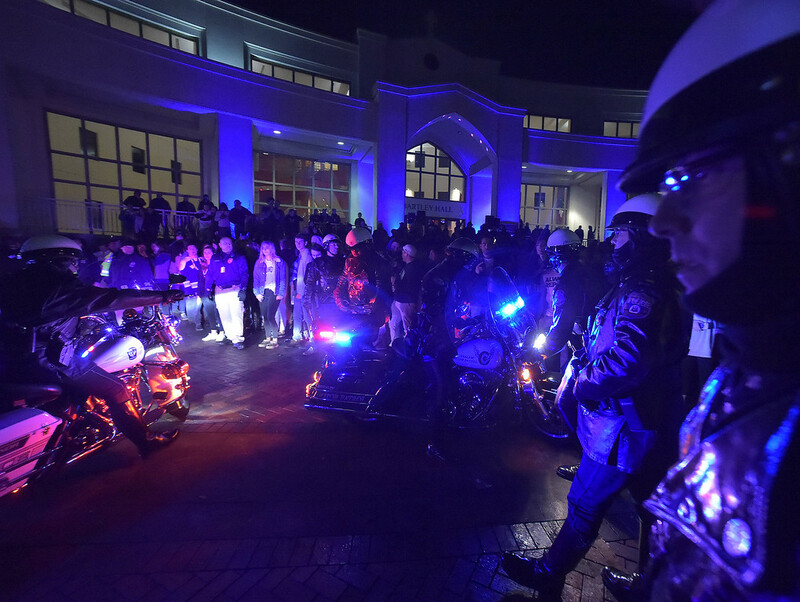 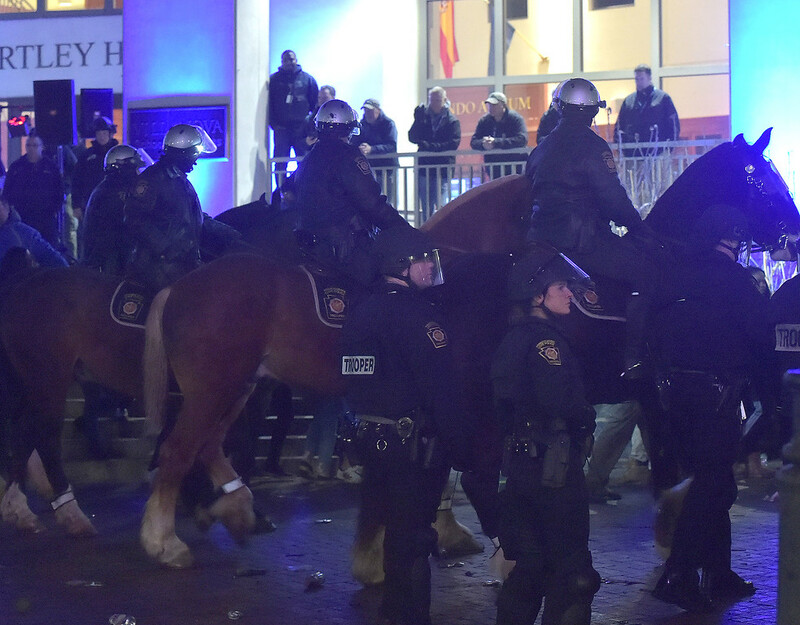 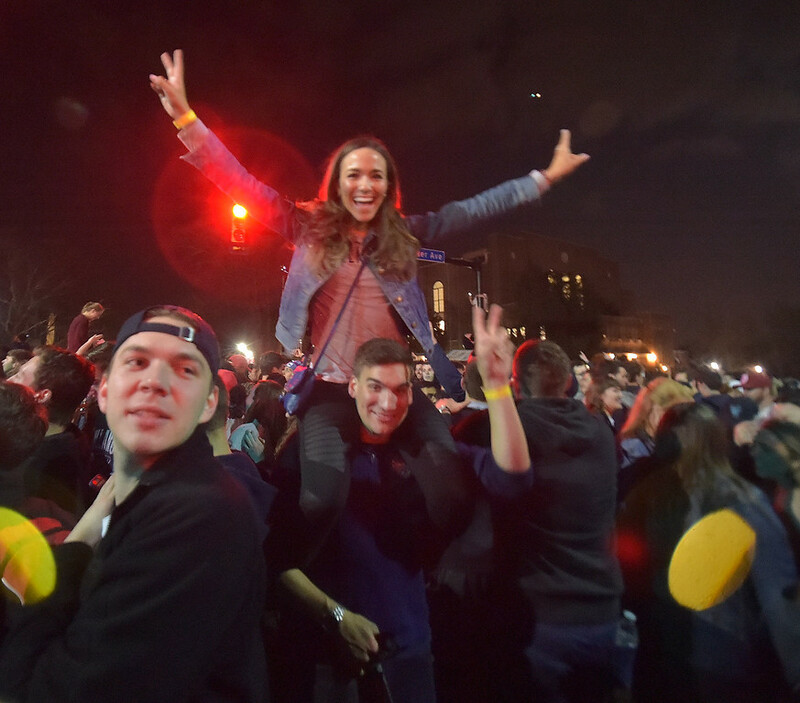 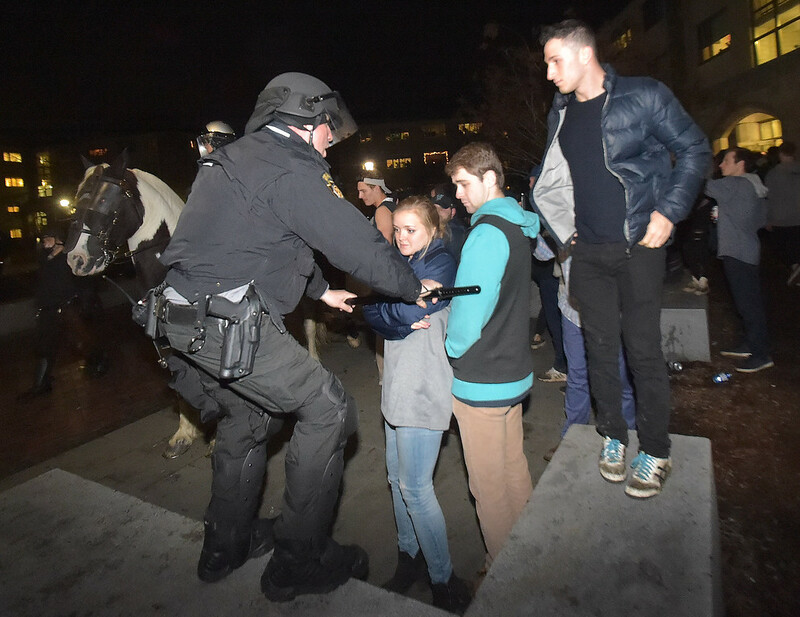 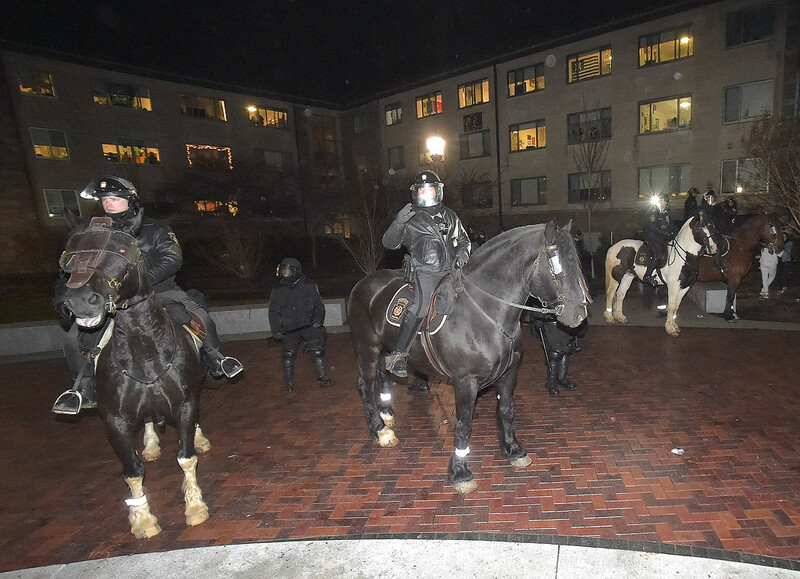 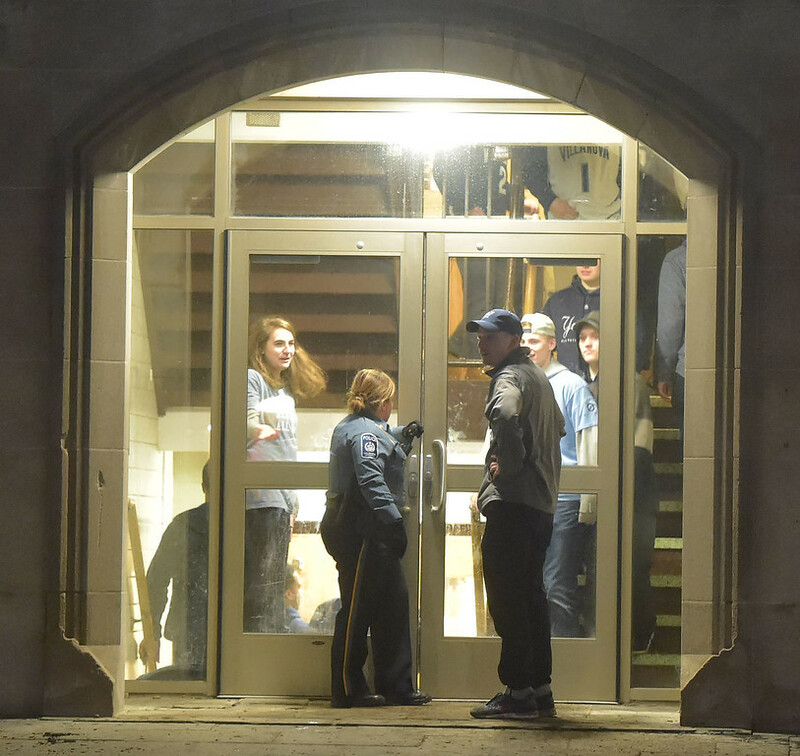 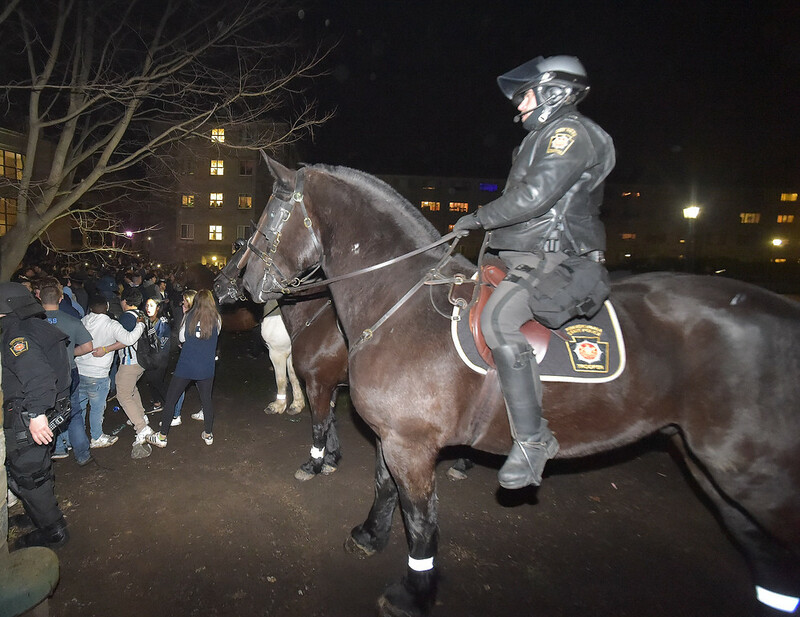 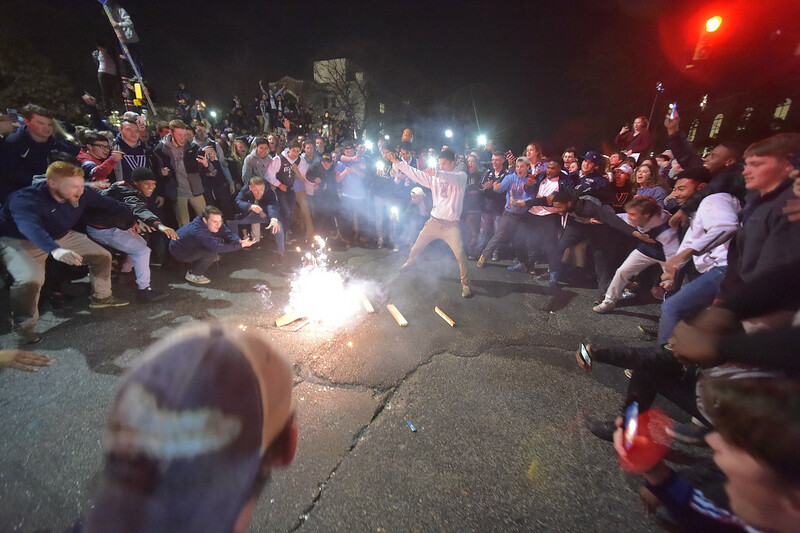 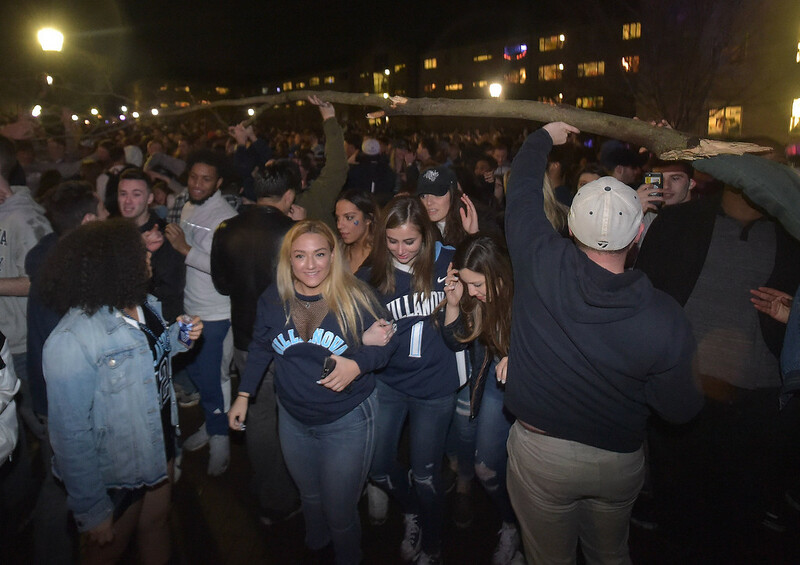 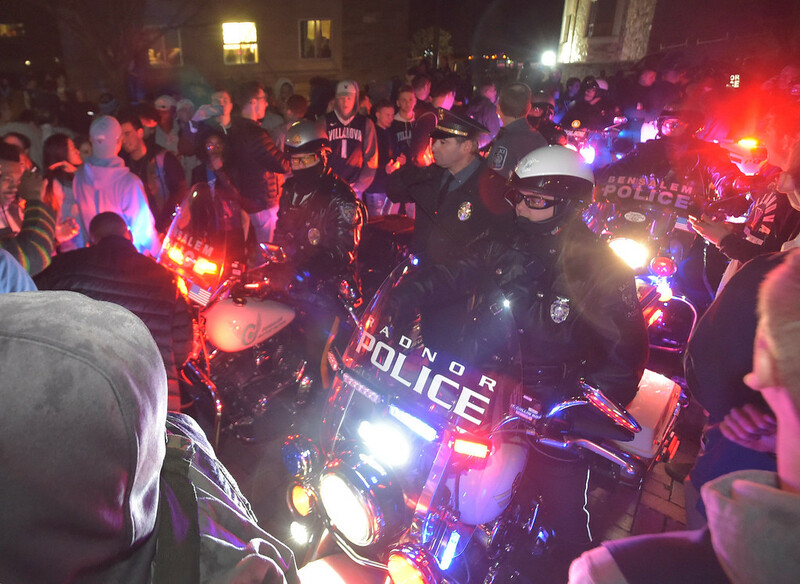 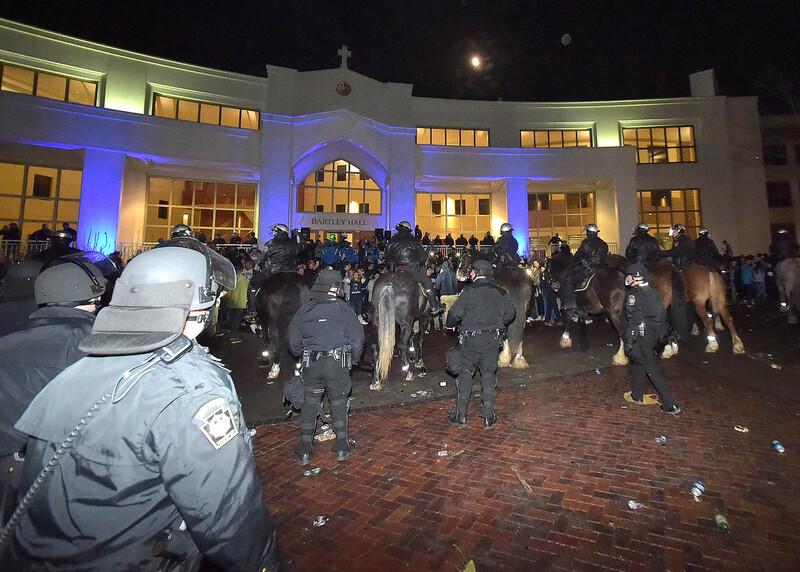 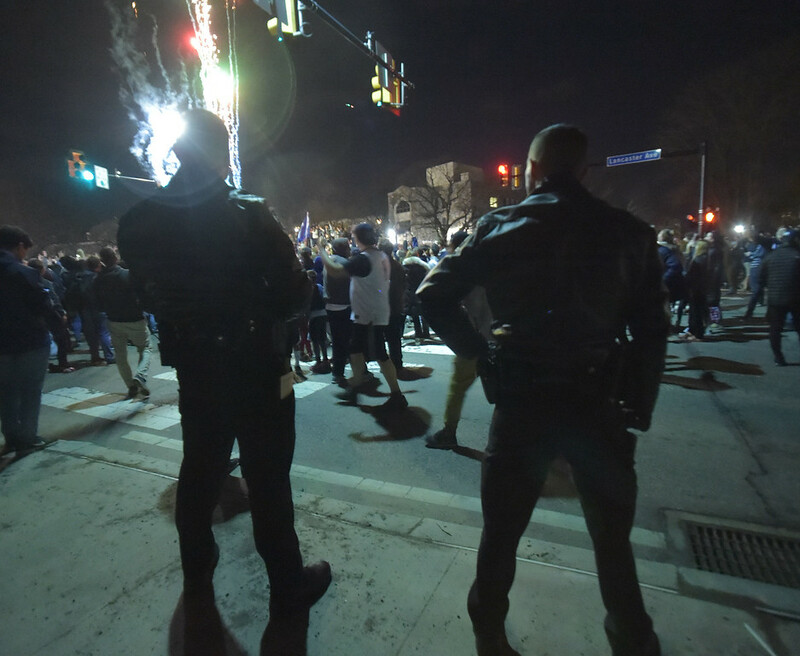 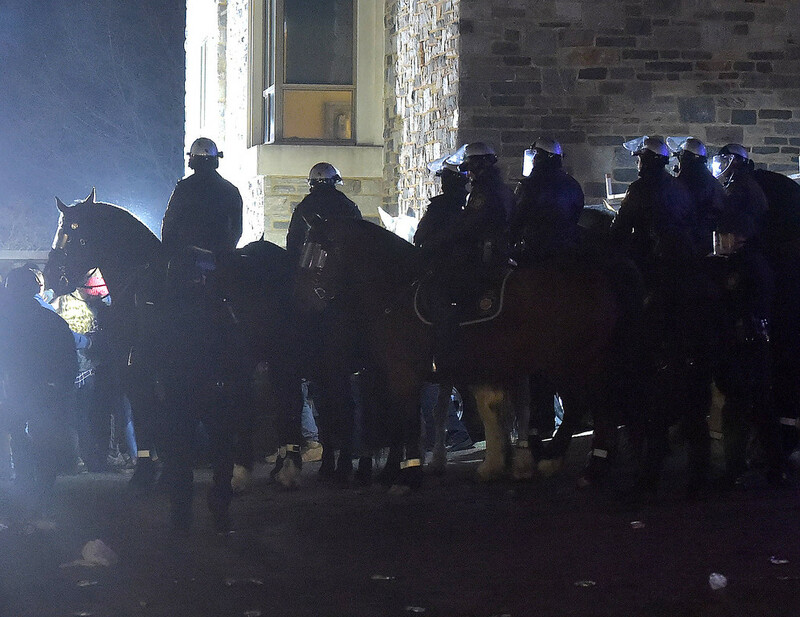 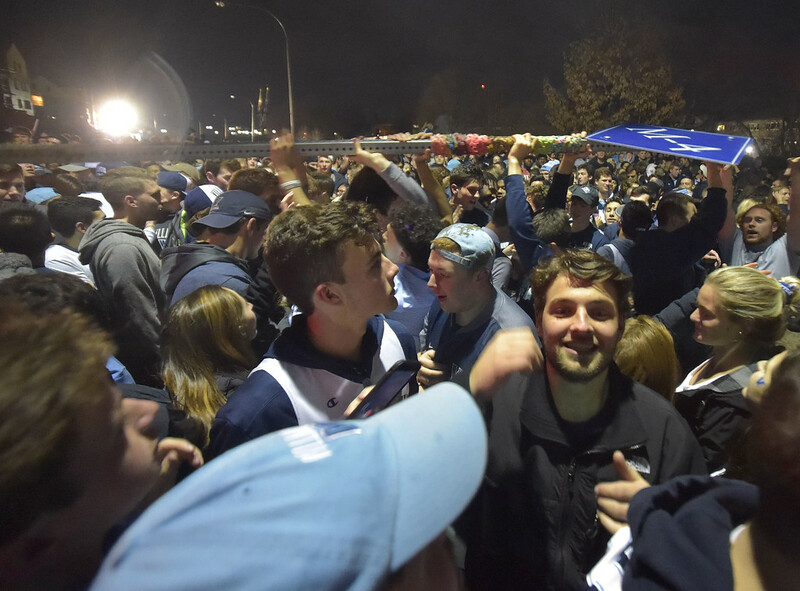 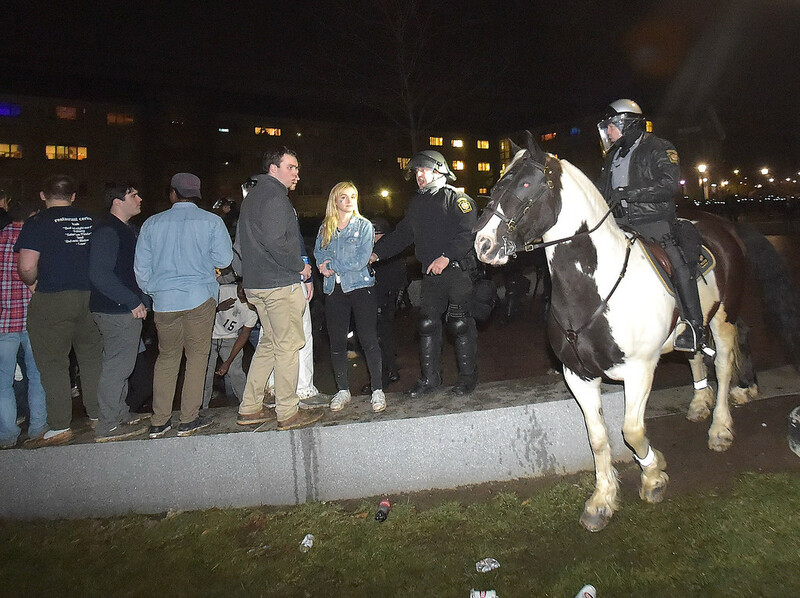 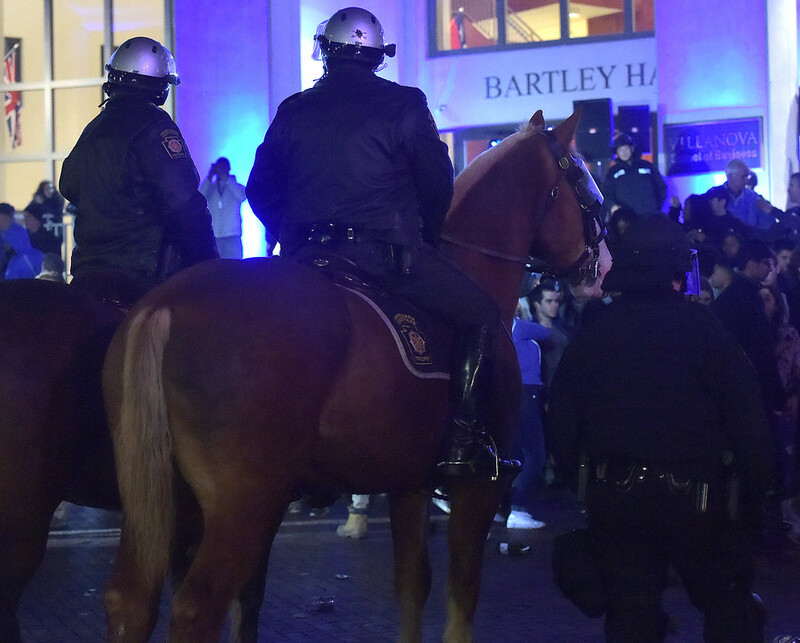 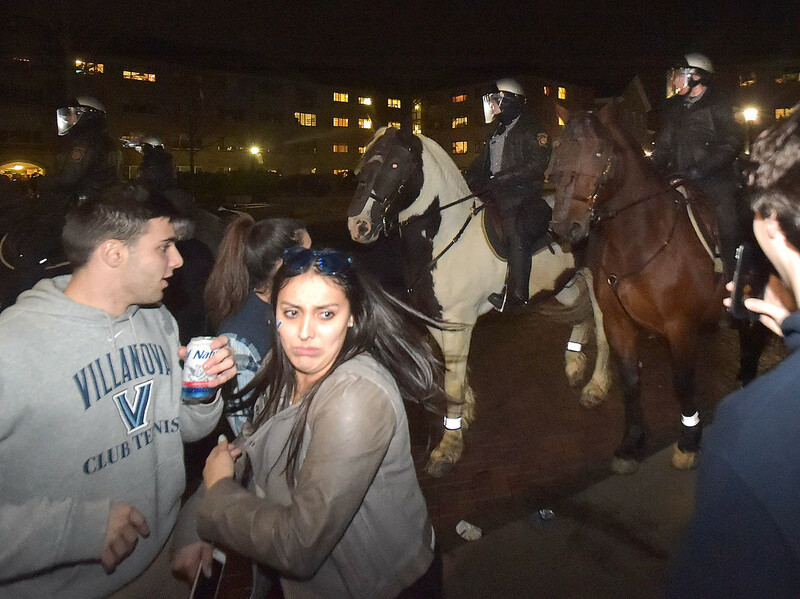 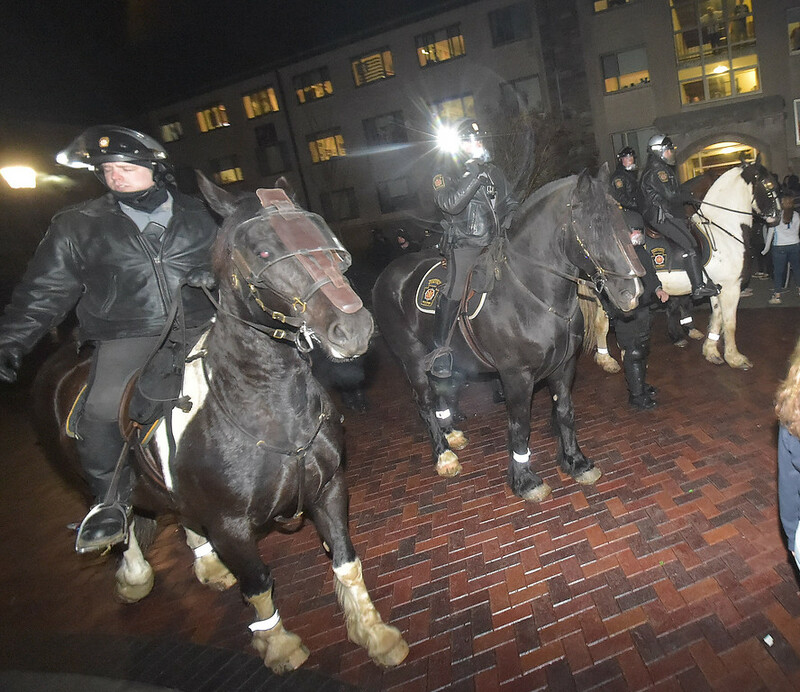 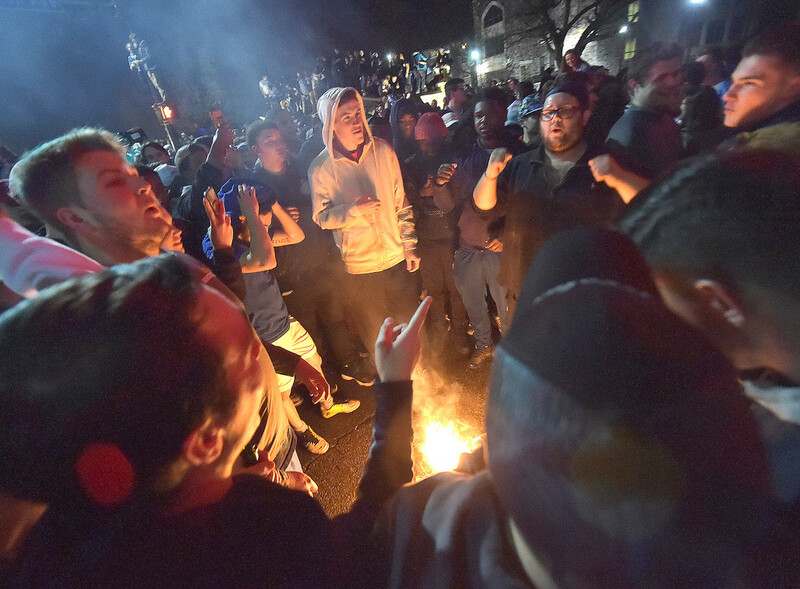 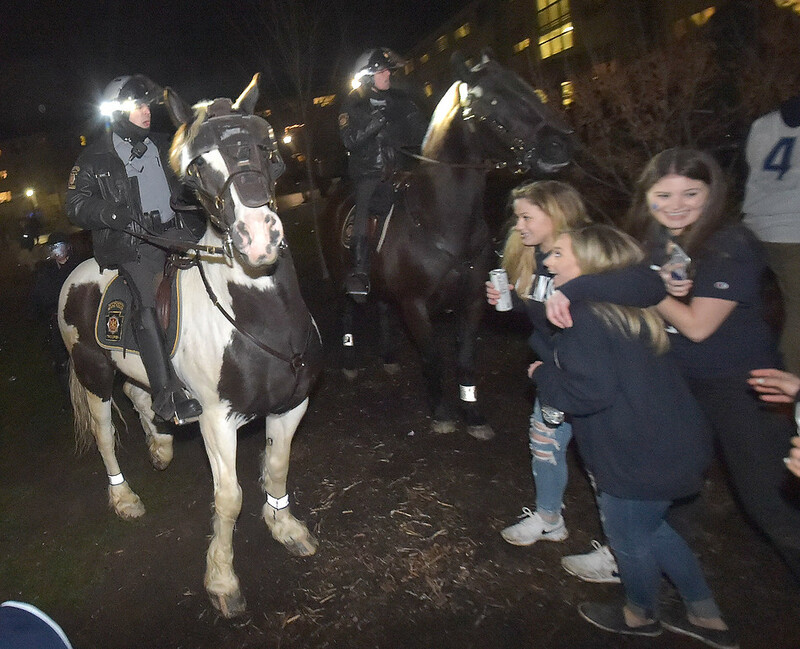 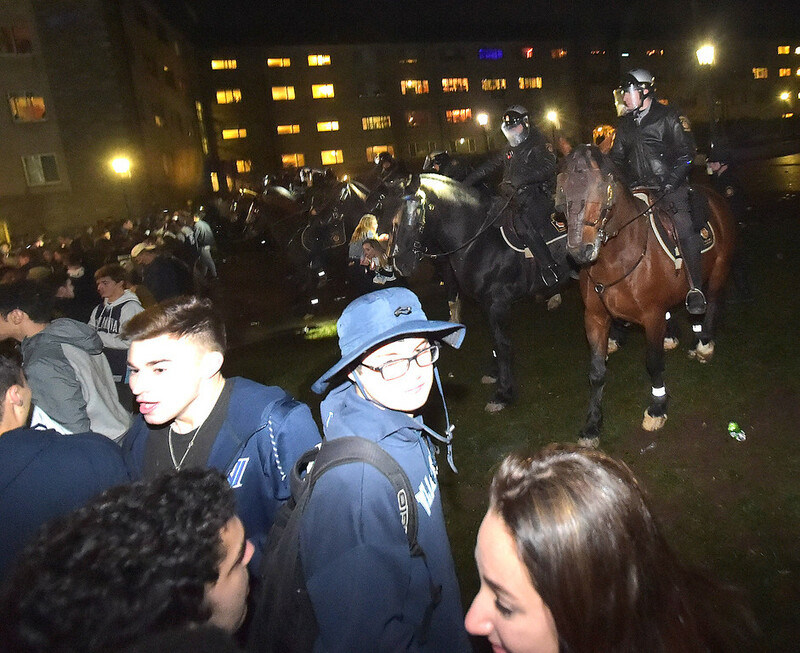 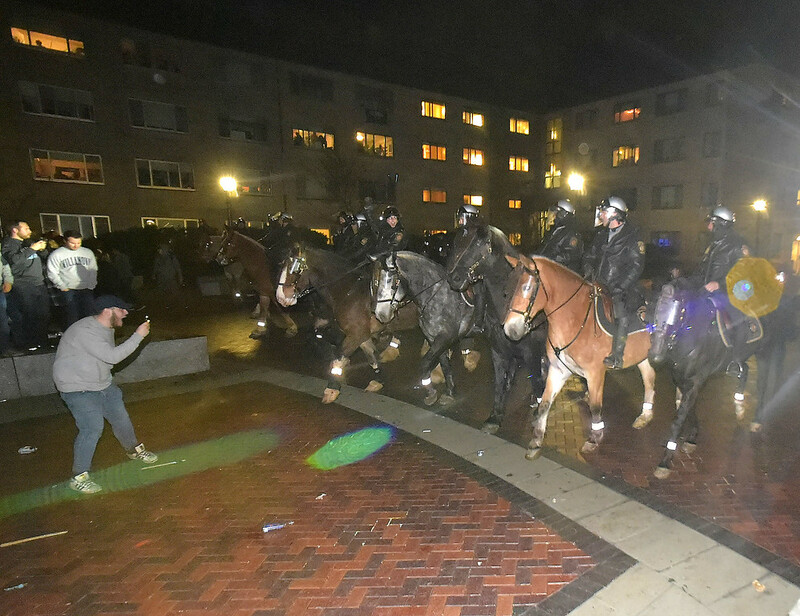 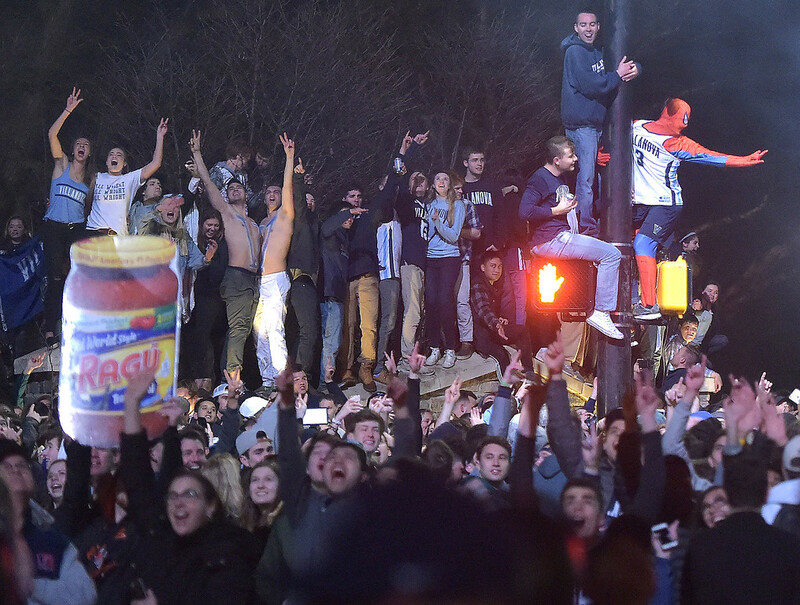 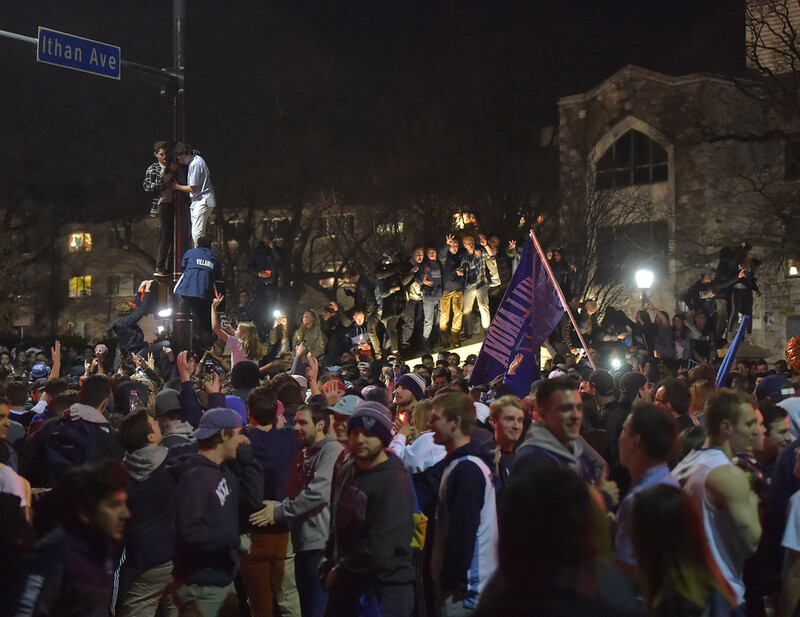 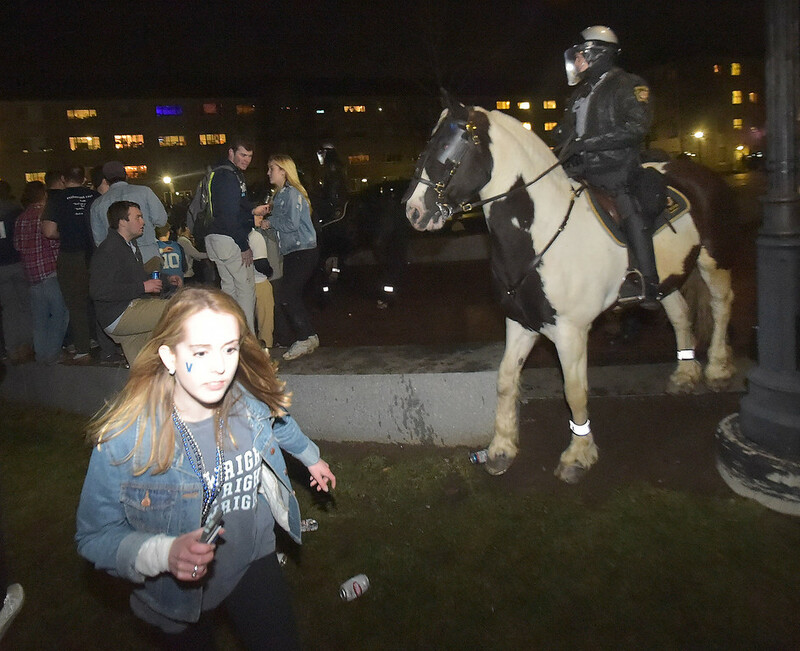 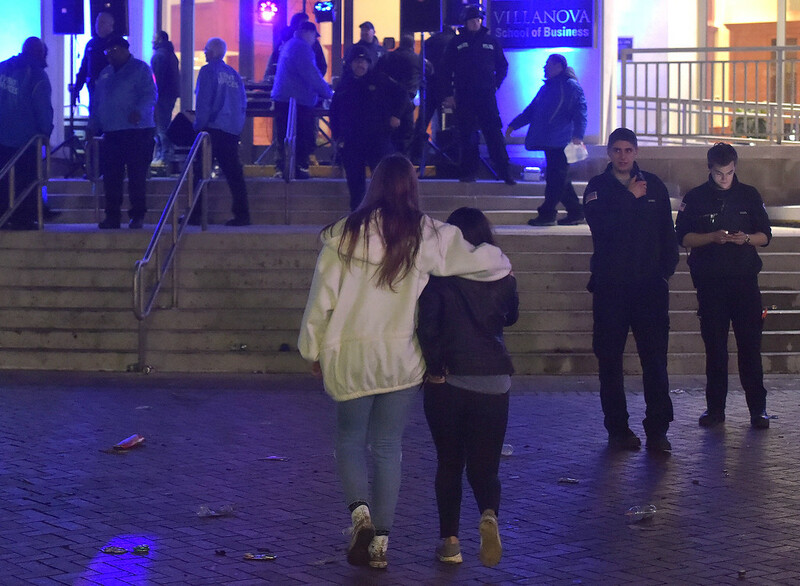 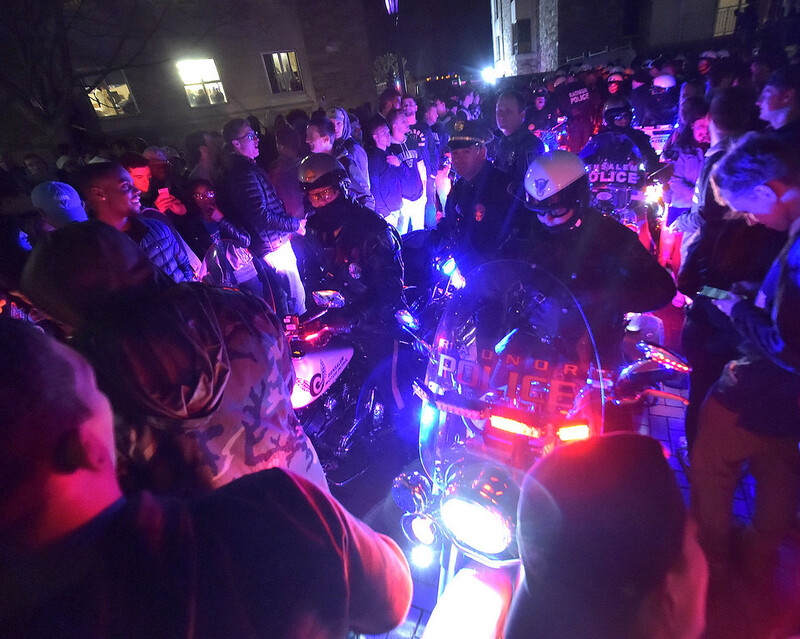 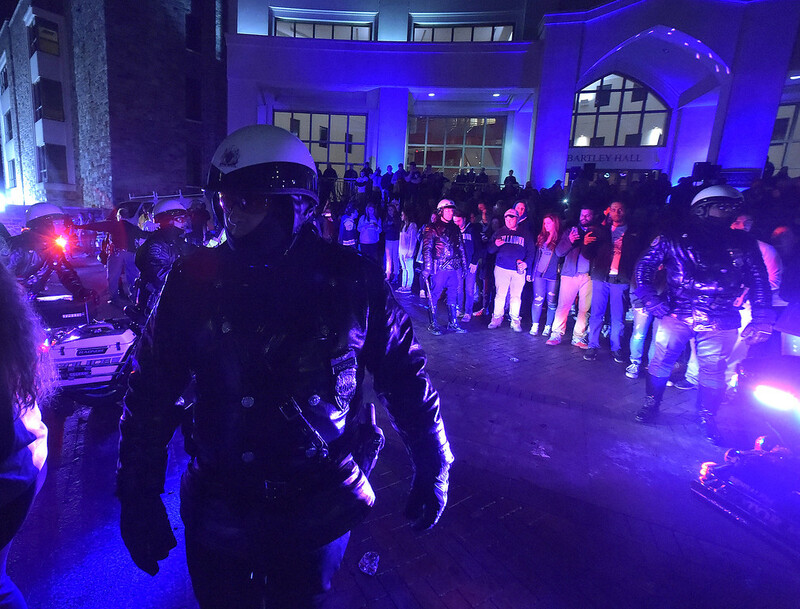 Photos Villanova University's campus during the NCAA Championship title game.